Confession of a Die-Hard Makeup Junkie ❤: SHuiYuki's Drugstore Makeup HAUL! 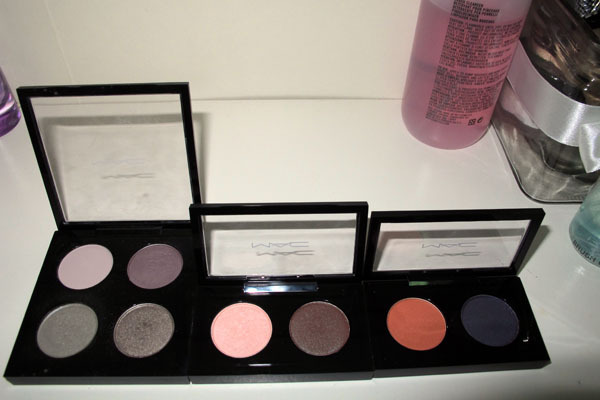 DRUGSTORE (exclude MAC) MAKEUP HAUL~!!! Okay (back to topic), went to WATSONS during my break (was working for LG Cinema Smart 3D TV at Parkway) DAILY during my 4-day work and check out my MASSIVE drugstore purchases!!! OMG! I was SURPRISED to see CandyDoll in WATSONS that I TWEETED this annoucement the moment I saw them! LOL! BIORE Travel-Size Eye & Lip Makeup Remove - $2. BEST Eye makeup remover EVER! 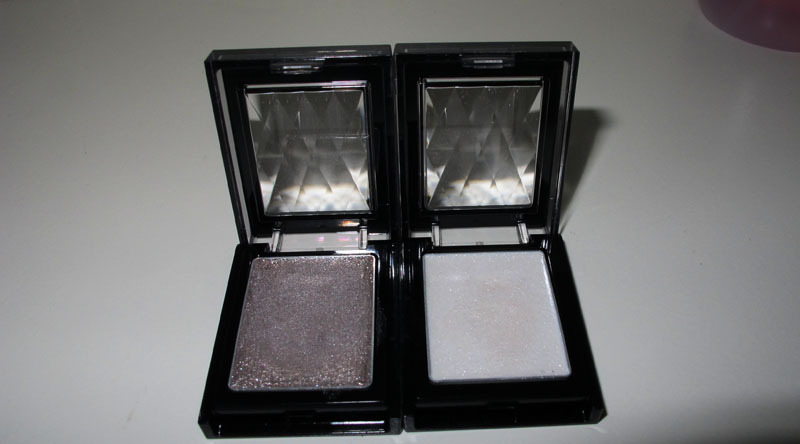 KATE Diamond Eye Glitter Eyeshadow in Charcoal Brown and White $11.92 after 20% discount! Cleansing Express in Brightening - $16 (UP$18) SWEAR-BY BEST Makeup Remover. Can remove & sleep after that! AWESOME LOVE!!! Been a faithful user since 2009! KOJI Eyelash Curler in no 73 (34mm) <-- AM SELLING THIS CURLER! CLICK HERE! 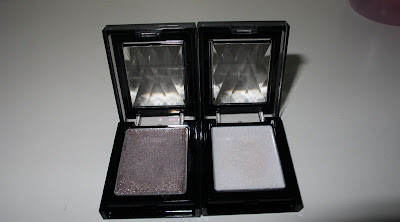 Face It Shimmery Eyeshadow - Silver <-- AM SELLING THIS EYESHADOW! CLICK HERE! Face It Shimmery Eyeshadow - Champagne Light Yellow <-- AM SELLING THIS EYESHADOW! CLICK HERE! Conclusion: Drugstore makeup can be pigmented as compared to some higher-end products. I personally LOVE KATE eyeshadows and I'd been using their eyeshadows for the longest time (aside from Majolica). - If you like glittery/shimmery eye colour - opt for Bourjois coz I'd tested out their samples and my hands were filled with glitters & shimmers after that! Impressive! SHuiYuki's Fall Makeup For OLs! Very Wearable! SHuiYuki's Time to Clean Your Makeup Brushes!!! Yuki's event date with Jim Bean! SHuiYuki's ASOS & Illamasqua DISCOUNT CODES! HAPPY BDAY DEAR ♥ !! !